With 2 bedrooms and 2 full bathrooms, Glitter Bay #113 is a great choice for couples or a family heading to Barbados for vacation. The resort villa is located directly on the beach along the island’s famed west coast, so swimming, snorkeling, and water sports can easily be enjoyed. There’s a full kitchen, living room, and dining area, so the condo has all the comforts of home. The complex also features a large communal swimming pool with plenty of lounge chairs and a fantastic big kids pool. The surrounding tropical gardens are great for evening strolls and for the children to run around. Situated among the gardens of Glitter Bay, you will find these comfortably appointed one, two, and three bedroom beach front resort villas. These villas make an ideal holiday home for families, couples, or friends traveling together. 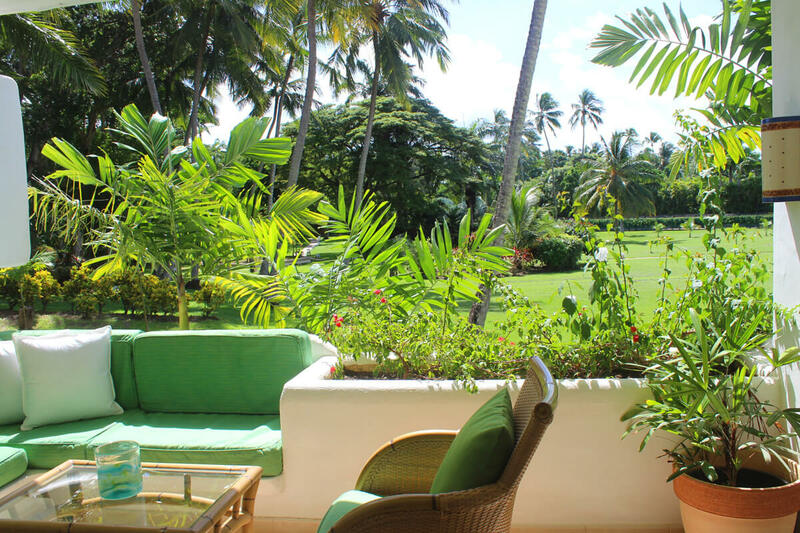 This all-suite property, formerly The Fairmont Glitter Bay Resort, is located on one of the best beaches on the west coast of Barbados and is next door to The Fairmont Royal Pavilion. Each unit is tastefully furnished and comes equipped with every modern convenience. The Glitter Bay Suites location is close enough to Holetown that guests are near many casual restaurants, beach bars, and fine dining establishments. Also nearby are shopping malls, banks, supermarkets, the post office, and 24-hour convenience stores, making Glitter Bay an ideal base for your Barbados holiday. A free-form swimming pool and children’s pool, beach bar, and concierge desk are available. There is access to tennis facilities and water sports which can be arranged through the concierge. Glitter Bay #113, “Sea Wind 2” is a fully air-conditioned, recently refurbished two-bedroom apartment. The Master suite offers a king bed, while the second bedroom offers two twin beds that can be converted into a king. The Master suite has access to the large patio where dining and seating are provided. Christmas/New Year’s rates are not listed (special rates apply). Maid service 6 days a week (off Sundays), daily concierge assistance 8.00 a.m. to 5.00 p.m., beach attendant, 24 hour, 7 days a week security, manned gatehouse, drinks bar with cable TV 11.00 a.m. to sunset, lunch snack bar 11.00 a.m. to 3.00 p.m. (seasonal), flood lit tennis courts, complimentary day use, racquet and ball rental available, childrens' playground equipment and play area by wading pool and table tennis table. We had a lovely relaxing holiday at Glitter Bay. The apartment was clean, light and bright and even though it was the furthest from the sea we had beautiful garden views from the master bedroom and spacious terrace. The beach is lovely and there is plenty of space for sun or shade, the beach bar served good food if you don’t fancy walking anywhere at lunchtime. Great location we will definitely return. Andrew was great, very efficient and helpful.